Atieh, M. A., Alsabeeha, N. H., Faggion, C. M., Jr. & Duncan, W. J. (2012) The Frequency of Peri-Implant Diseases: A Systematic Review and Meta-Analysis. J Periodontol. doi:10.1902/jop.2012.120592. Berglundh, T., Lindhe, J., Marinello, C., Ericsson, I. & Liljenberg, B. (1992) Soft tissue reaction to de novo plaque formation on implants and teeth. An experimental study in the dog. Clin Oral Implants Res 3, 1-8. Berglundh, T., Persson, L. & Klinge, B. 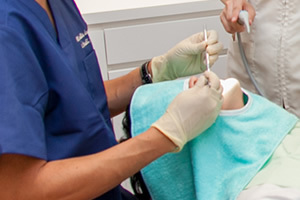 (2002) A systematic review of the incidence of biological and technical complications in implant dentistry reported in prospective longitudinal studies of at least 5 years. J Clin Periodontol 29 Suppl 3, 197-212; discussion 232-193. doi:019 [pii]. Lindhe, J., Berglundh, T., Ericsson, I., Liljenberg, B. & Marinello, C. (1992) Experimental breakdown of peri-implant and periodontal tissues. A study in the beagle dog. 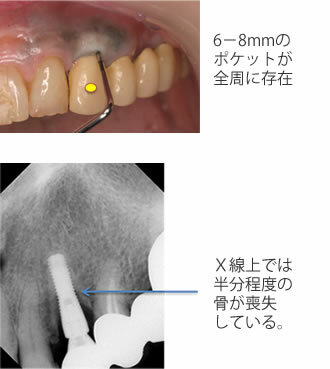 Clin Oral Implants Res 3, 9-16. 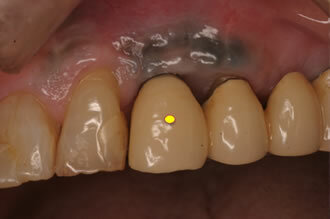 Mombelli, A., Muller, N. & Cionca, N. (2012) The epidemiology of peri-implantitis. 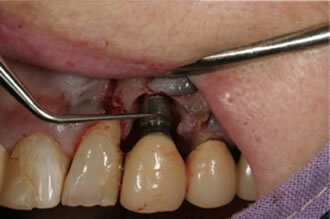 Clin Oral Implants Res 23 Suppl 6, 67-76. doi:10.1111/j.1600-0501.2012.02541.x. Papaioannou, W., Quirynen, M. & Van Steenberghe, D. (1996) The influence of periodontitis on the subgingival flora around implants in partially edentulous patients. Clin Oral Implants Res 7, 405-409.